Weight management in community pharmacy: what do the experts think? Background The increasing prevalence of obesity and overweight adults creates a significant public health burden and there is great potential for pharmacists to be involved in the provision of weight management services, other than the mundane supply of commercial products. In order to provide optimal services that can be integrated into the healthcare system, a best practice model for weight management services in community pharmacy should be in place. We sought experts’ and key stakeholders’ opinions on this matter. Objectives (1) To identify components of a best practice model of a weight management service feasible in Australian community pharmacy. (2) To identify the role of pharmacists and the training requirements to up-skill pharmacists to competently provide weight management services. (3) To elicit any practical suggestions that would contribute to successful implementation of weight management services in pharmacy. Setting Australian primary care sector. Method Semi-structured interviews were conducted with a purposive sample of 12 participants including Australian experts in obesity and representatives of main Australian professional organisations in pharmacy. Interviews were digitally recorded, transcribed verbatim and thematically analysed using the framework approach. Main outcome measure Recommended components of pharmacy-based weight management services and training requirements. Results Participants perceived two potential roles for pharmacists involved in weight management: health promotion and individualised service. Multi-component interventions targeting all three areas: diet, physical activity and behaviour change were emphasised. Physical assessment (e.g. weight, waist circumference measurements), goal setting, referral to allied healthcare professionals and on-going support for weight maintenance were also proposed. Participants suggested pharmacists should undergo formal training and identified various training topics to improve pharmacists’ knowledge, attributes and skills to acquire competencies necessary for delivery of this service. Some physical and financial barriers in providing these services were also identified including infrastructure, pharmacists’ time and cost-effectiveness. Conclusion Pharmacists are well-positioned to promote healthy weight and/or implement weight management interventions. Furthering pharmacists’ role would involve training and up-skilling; and addressing key practice change facilitators such as pharmacy layout and remuneration. This study provides some insight into the design and implementation of a best practice model for pharmacy-based weight management services in Australia. The Author(s) would like to thank the participants who took part in this study. The Authors declare that no external funding has been obtained for the study. The Author(s) declare(s) that they have no conflicts of interest to disclose. Obesity and Overweight Fact Sheet No 311. World Health Organization; (updated 2012 May; cited 2013 Jan 21); Available from: http://www.who.int/mediacentre/factsheets/fs311/en/index.html. 4364.0—National Health Survey: Summary of Results, 2007–2008 (Reissue). Australian Bureau of Statistics; (updated 2009 Aug; cited 2013 Jan 21); Available from: http://www.abs.gov.au/AUSSTATS/abs@.nsf/Lookup/4364.0Main+Features12007-2008 (Reissue)?OpenDocument. Australia: The Healthiest Country by 2020. Technical Report No 1: Obesity in Australia: A Need For Urgent Action. Prepared for the National Preventative Health Taskforce by the obesity working group. Barton, ACT: Commonwealth of Australia; 2008 (cited 2013 Jan 21); Available from: http://www.health.gov.au/internet/preventativehealth/publishing.nsf/Content/E233F8695823F16CCA2574DD00818E64/$File/obesity-jul09.pdf. Clinical Practice Guidelines For The Management Of Overweight And Obesity In Adults. Prepared by the National Health And Medical Research Council. Canberra, ACT: Commonwealth of Australia; 2003 (updated 2004 Mar; cited 2013 Jan 21); Available from: http://www.health.gov.au/internet/main/publishing.nsf/Content/7AF116AFD4E2EE3DCA256F190003B91D/$File/adults.pdf. Parliament of Australia House of Representatives Standing Committee on Health and Ageing. Inquiry into Obesity in Australia. Submission No. 82. Submission by the Pharmaceutical Society of Australia. Curtin, ACT: Pharmaceutical Society of Australia; 2008 [cited 2013 Jan 21]; Available from: http://www.aph.gov.au/house/committee/haa/obesity/subs/sub082.pdf. Annual Report 2005–2006. Prepared by the Department of Health and Ageing. Canberra, ACT: Commonwealth of Australia; 2006 (cited 2013 Jan 21); Available from: http://www.health.gov.au/internet/annrpt/publishing.nsf/Content/56552835C4A23BE7CA257210002452B2/$File/1 Annual Report.pdf. Rieck A, Clifford R, Everett A. Community pharmacy weight management project. Stages one and two. The University of Western Australia; 2005 (updated 2006 Apr; cited 2013 Jan 21); Available from: http://www.guild.org.au/iwov-resources/documents/The_Guild/PDFs/CPA and Programs/3CPA General/2005-522/2006-05-29 CPWMP Final.pdf. NICE clinical guideline 43. Obesity: guidance on the prevention, identification, assessment and management of overweight and obesity in adults and children. Prepared by the National Collaborating Centre for Primary Care and the Centre for Public Health Excellence at NICE. London, UK: National Institute of Health and Clinical Excellence; 2006 (updated 2012 May; cited 2013 Jan 21); Available from: http://www.nice.org.uk/nicemedia/pdf/CG43NICEGuideline.pdf. SIGN Guideline 115: Management of Obesity. A national clinical guideline. Edinburgh, Scotland: Scottish Intercollegiate Guidelines Network; 2010 (cited 2013 Jan 21); Available from: http://www.sign.ac.uk/pdf/sign115.pdf. Choosing health through pharmacy—a programme for pharmaceutical public health 2005–2015. Prepared by the Department of Health. London, UK: Crown; 2005 (cited 2013 Jan 21); Available from: http://www.dh.gov.uk/prod_consum_dh/groups/dh_digitalassets/@dh/@en/documents/digitalasset/dh_4107496.pdf. Pharmaceutical Society of Australia. 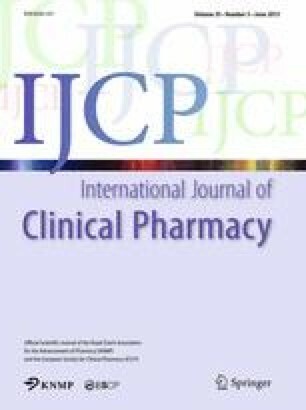 Issues paper on the future of pharmacy in Australia. 2010 (cited 2013 Jan 21); Available from: http://careers.curtin.edu.au/data/shared/documents/faculty_specific_resources/health_sciences/psa_future_of_pharmacy2010.pdf. The Pharmacy Guild of Australia. The roadmap: the strategic direction for community pharmacy. 2010 (cited 2013 Jan 21); Available from: http://www.guild.org.au/iwov-resources/documents/The_Guild/PDFs/News and Events/Publications/The Roadmap/Roadmap.pdf.